We are an AdWords agency focused entirely on offering high quality Adwords campaigns combined with precise tracking so that our clients’ advertising budgets are well spent. As one of the largest AdWords agencies in the Baltics/Nordics region we manage over €2M spend a quarter and run campaigns across the globe in 25+ languages. We are also certified Google Premier Partners and our founder is a Google Certified Trainer. What’s with the name of the company (ePPC)? As you most probably know PPC stands for Pay-Per-Click. ePPC therefore is a combination of letter e and the abbreviation PPC. The letter e stands for export, education, Estonia and all the good techy stuff starts with an “e”, doesn’t it? “In 2008, I started working at the Google European headquarters, as the first Estonian employee. My main task was to help Baltic companies with their Google Adwords accounts and find new clients (including convincing agencies to also offer Google Adwords services and helping them get ramped up). 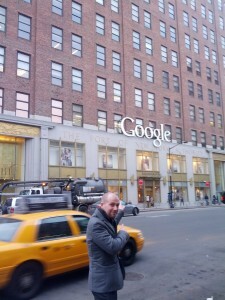 During those 5 years, I got to consult and manage clients ranging from the tiniest to the largest ones both from the Baltics and further away and of course enjoy all the perks of being a Googler:) I also got to spend one quarter in Google’s Head office in California, Mountain View, which was a nice change from the rainy Ireland! In 2013, I decided to leave Google and move back home to Estonia. I already had trained hundreds of marketing teams and helped setting up endless Google Adwords accounts, so I decided to go at it on my own, by starting my own AdWords agency. Check out open job positions here.